Gallery Show & Sneak Peek! 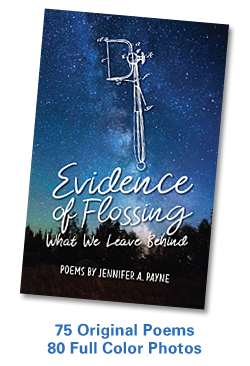 Want a preview of our upcoming book Evidence of Flossing: What We Leave Behind? Then come to the Opening Reception for Where the Whole Universe Dwells, an exhibit at Perspectives…The Gallery at Whitney Center, on Saturday, May 20 from 3-5pm. The exhibit, presented by the Arts Council of Greater New Haven and curated by Debbie Hesse, will include photographs from Evidence of Flossing, and features work by Jennifer Davies, Nancy Eisenfeld, Anne-Doris Eisner, and Peter Konsterlie. It will be in view at the gallery from May 17 – August 27. Perspectives…The Gallery at Whitney Center is located at 200 Leeder Hill Drive, south entrance, Hamden, Connecticut, (203) 281-6745. 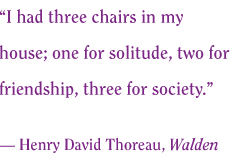 Hours: Tuesdays and Thursdays 4-7 p.m., and Saturdays 1-4 p.m. Click here for more information. This entry was posted in Art, Books, Creativity, Poetry, Publishing, Writing and tagged Book, Books, Connecticut, Cosmology, Creativity, Ecospirituality, Jen Payne, Mindfulness, Nature, Photography, Poetry, Spiritual Ecology, Spirituality, Storytelling, Writing. Bookmark the permalink. Congratulations, Jen. I hope it is an extraordinary celebration.